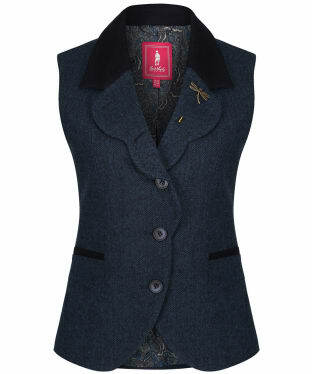 Celebrate a rich country heritage style with our sophisticated compilation of women's waistcoats. With classic tweed and soft cotton complemented by traditional herringbone and exclusive fabrications, our range of designs channel the classic country style for both avid shooters and lovers of the country look. Fans of the more contemporary aesthetic won't be disappointed, with vibrant hues complemented by printed linings and modern touches. Smarter, more sartorial designs that are perfect for looking chic and stylish whilst at an event - showcased in luxurious fabrics that feature understated prints and incredible fit for an elegant finish. Whatever your requirement, whether you're an outdoor enthusiast or an event socialite, our stunning array of waistcoats will kit you out with a refined edge - perfectly paired with a sophisticated shirt and trouser or skirt ensemble. 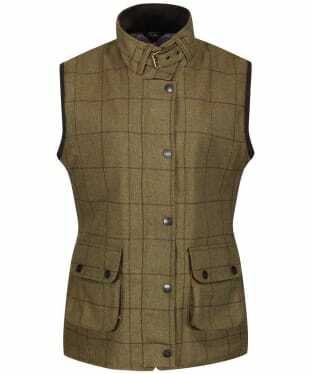 Perfect for enjoying your favourite country sport or outdoor activity, the Women's Alan Paine Rutland Waistcoat is a beautifully styled and practical waistcoat that will give you that classic country look. Like all Alan Paine clothing, it features some striking design features, including tweed outer and a moleskin collar with buckle fastening. Full zip fastening with a studded storm flap, allow you to totally seal out the cold, while the two large bellow pockets and internal pocket ensure there is plenty of space for you to keep any essential items or equipment on your person. The Women's Alan Paine Rutland Waistcoat is perfect for those of you who live and breathe the countryside, offering a practical and stylish gilet to keep you warm and comfortable as well as looking your very best. The Women's Alan Paine Combrook Lined Back Waistcoat is perfect for completing your country look this season and beyond, boasting a stylish tweed outer your are sure to love! The water repellent outer is perfect for offering you added weather protection, meaning no need to worry about any unpredictable showers. This waistcoat has been tailored to Alan Paine's classic fit to offer you added room for extra freedom of movement, as well as plenty of room for layering up on those colder days. The contrasting lining has been cleverly designed to match the over check offer you an added touch of stylish detailing! The adjustable back strap is ideal for creating a fit is perfect for you. 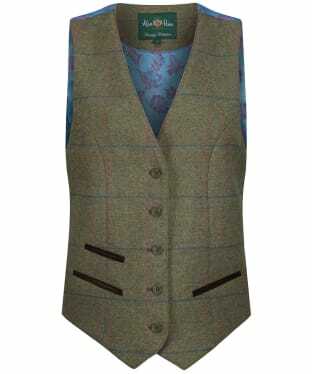 This Alan Paine Combrook Waistcoat will look great both in the town and country.